In parallel, we put a significant focus on Off-Road cycling, and continued to run the Corkagh Park Racing Series and our popular Training Days. I would like to thank the outgoing committee for all their support and work over the past year, and to wish the new Commission members every success in the year ahead. We started the year well after both our Motions to the Cycling Ireland AGM were passed , with positive news for youth riders. 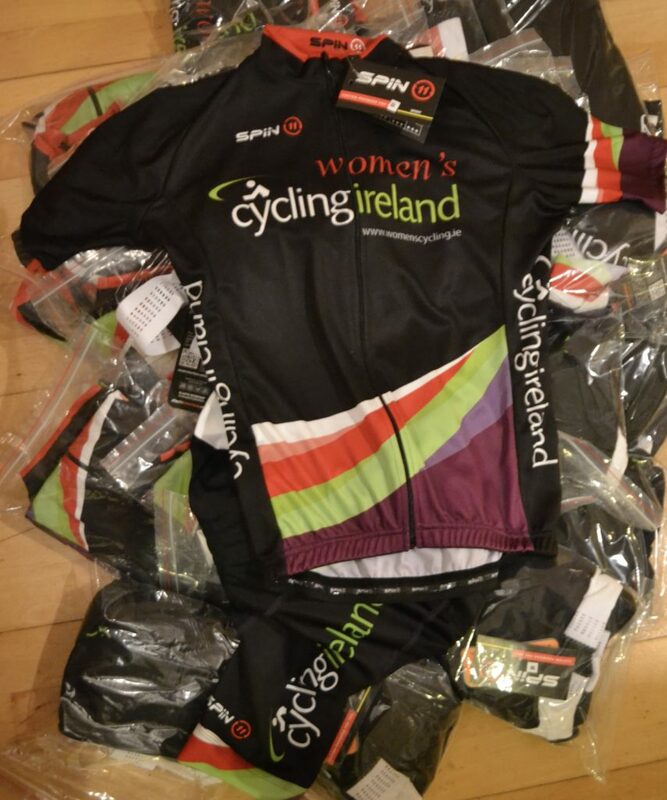 The Launch of our new website was a big asset for the incoming Commission , womenscycling.ie is the official page of women’s cycling in Ireland , and now includes information and advice for all disciplines of the sport. 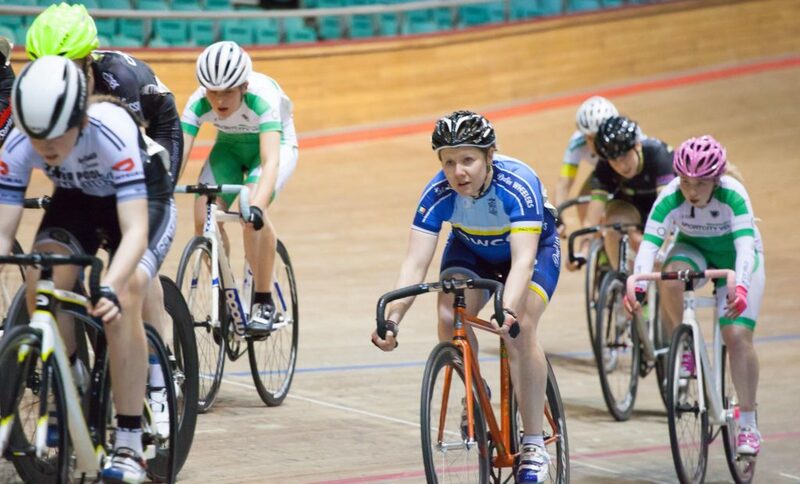 A Women’s Commission Team was brought to Manchester Velodrome in early January for three days of training & racing. We will be repeating this trip in 2019 and will be selecting a Women’s Commission Team soon. Galway MTB hosted our Skills Session for Beginners in Galway in January . The event in Derraura Mountain Bike Forest was aimed at beginner female cyclists. The Women’s Commissions Munster Girls Mentoring Programme was based in Cork in February with mentors Aggie Wozniak, Sheila Lucey and Fiona Meade. A residential Youth Camp took place during the February mid-term break at Avon Rí. Riders participated in a range of cycling disciplines in a friendly and social atmosphere. 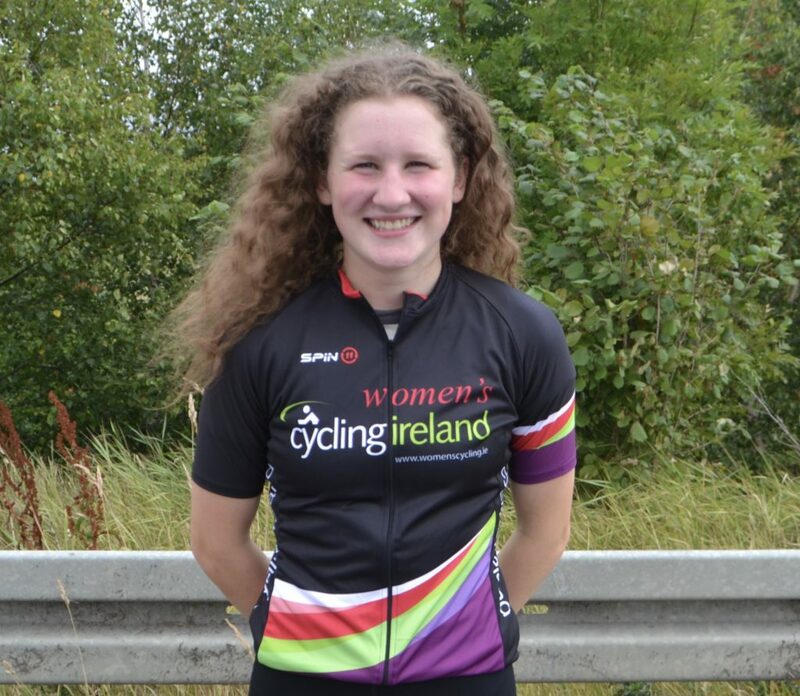 We launched the first ever Women’s Rider Rankings in February , The inaugural rankings were used throughout the season for the Intermediate League , Team Selections , and by the International Women’s Stage Race ‘Tour Of Omagh’ . We were delighted to announce a New Women’s Intermediate League .The League was aimed at bridging the gap between our Introduction League Events (Corkagh Park, Munster League etc.) and the National League. 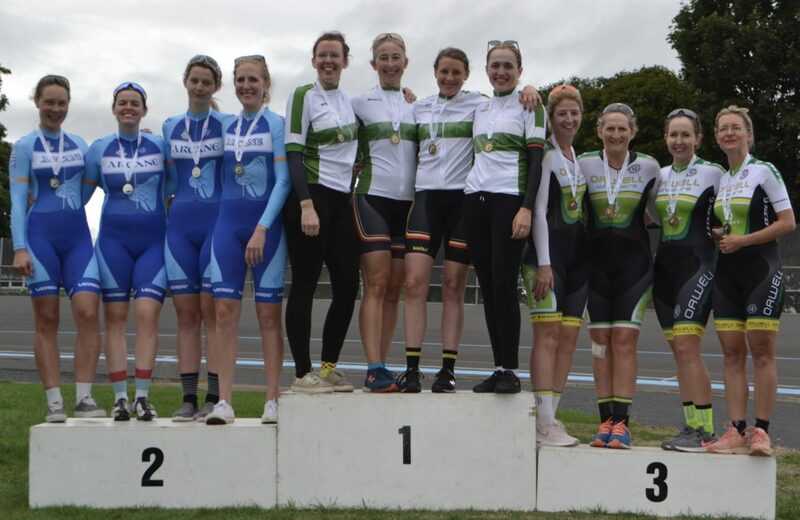 The League proved to be a major success for both the host clubs and Women’s Cycling. Clubs have already applied to host events in 2019. The dates for The Womens Commissions very popular Women’s Race Series were also announced at the beginning of March . The Series was held every Tuesday night throughout the season at Corkagh Park, catering for all levels (From Complete Beginner to Elite). 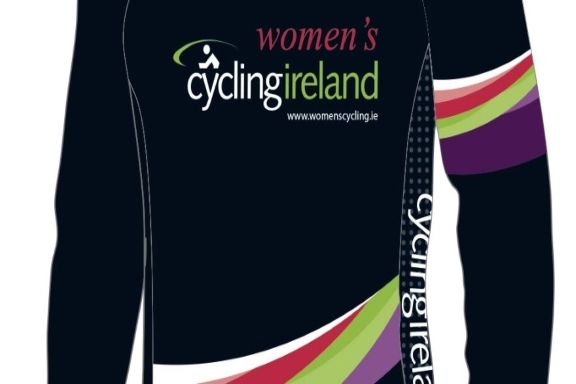 The new Women’s Commission Cycling Clothing was launched in March for both Road & Off-Road.The distinctive design was used throughout the season for Women’s Commission Team Selections , and the Jersey was used as the Leaders Jersey for our Intermediate League. We held a ‘Women & U16 Munster Skills Workshop’ in late March, and special guest Fiona Meade Coached a very comprehensive and fun skills workshop. Our Off-Road rep hosted an Enduro Skills Development Day in Tollymore in April for female riders looking to progress their racing and technical skills in enduro mountain biking. 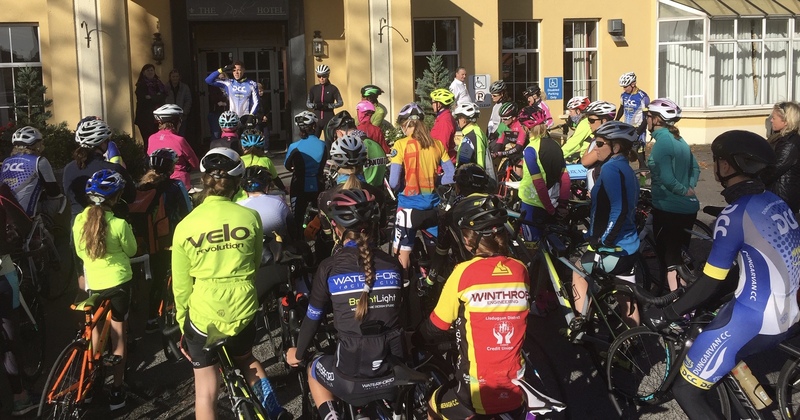 The Women’s Commission hosted a Training / Preparation Day in April for Riders hoping to take part in our new Women’s Intermediate Race League. The training day included a Road Spin , Coaching & Nutrition Talks, & information on what to expect in your first event. 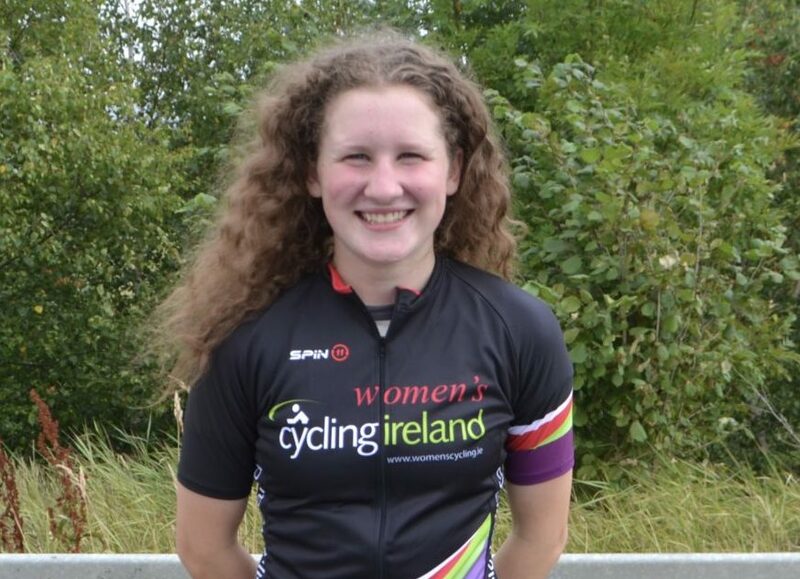 After discussions with Cycling Ireland , the Board approved a formal application from the Women’s Commission for a full National Women’s Criterium Championships for 2019 at their meeting in June. 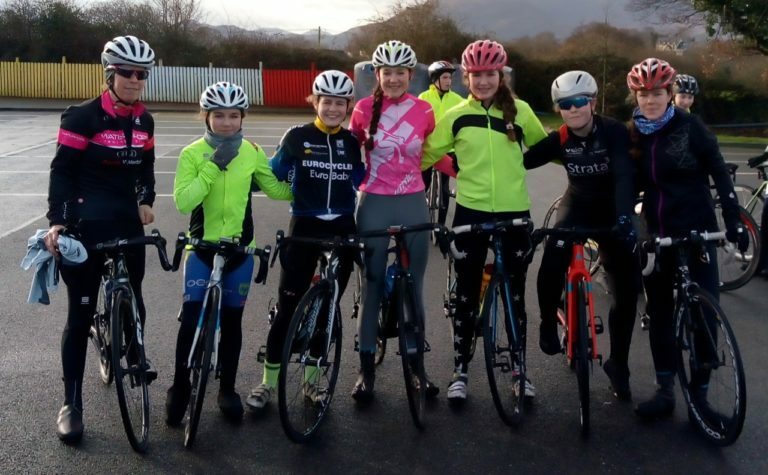 Ireland’s Youth Cycling Event, the three day ‘Errigal International Youth Tour’ was the first of the big youth races to embrace our new rules RE: Girls Racing, and offer our youth their own races and general classification. We also hosted a Women’s Cyclocross training day in July, aimed at all levels to encourage more women to get involved in cyclocross this winter. Former multiple National Cyclocross Champion Beth McCluskey and cyclocross coach Andy Layhe were on hand at the National Sports Campus . 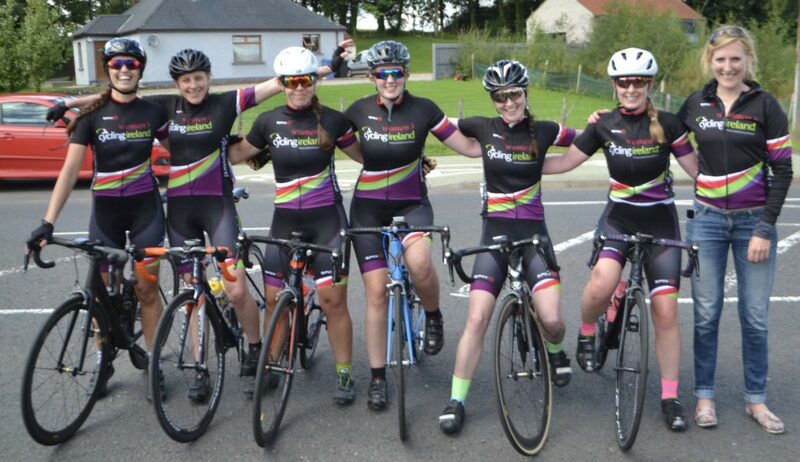 A Women’s Commission development Team was sent to the Tour of Omagh. The Team consisted of seven riders (W2 , W3 & Junior) and full support. All performed well , and we will be announcing selection races for the 2019 Team during the upcoming season. After holding a number of Women’s Track Training days throughout the season leading up to the Team National Championships , we were delighted to see the Women’s event thriving, after we helped launch it in 2017. 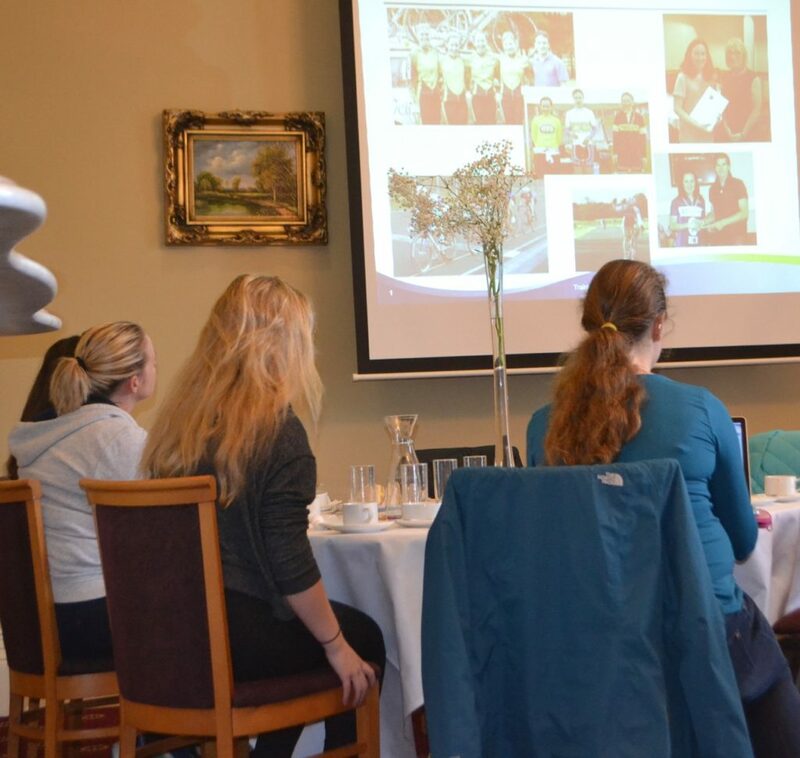 Dungarvan CC hosted a women’s training day for the Women’s Commission in October . 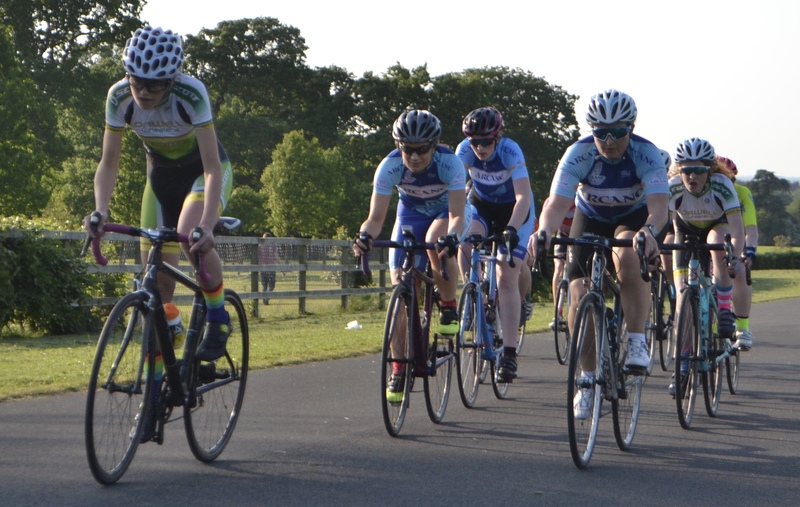 The event was a massive success, and sold out early, with riders enjoying mentored training spins, and talks from the Women’s Commission Coaches & special guests. Finally, we also made financial contributions to Rás na mBan and the upcoming Youth Track Trip to Alkmaar. As stated in the points above, we are planning to build upon the projects that were completed during 2018. In particular, we are planning to extend upon the success of our new and very popular Intermediate League. 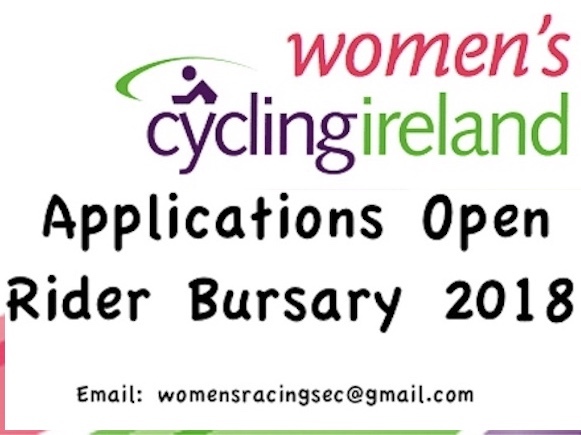 In addition to sending a Women’s Commission Team to the Tour of Omagh again next year, we will also be working towards entering a W2/W3 team in Rás na mBan 2019. The Rider Ranking system has bedded in very well, with many riders achieving upgrades from the default ranking that they had been allocated at the start of the year. Our points system and the races we have included will be reviewed and tweaked before the 2019 racing season begins. One more year should see us ready to formally incorporate our grades on our Cycling Ireland licences.